FAIRBORN, Ohio -- A 911 caller may be charged with making false reports for his account of a Greater Cincinnati man carrying a gun inside a Dayton-area Wal-Mart store. Police shot and killed John Crawford III in August 2014 after responding to a call from Ronald Ritchie that Crawford was pointing a gun -- later determined to be an air rifle -- at people, and specifically at two children. 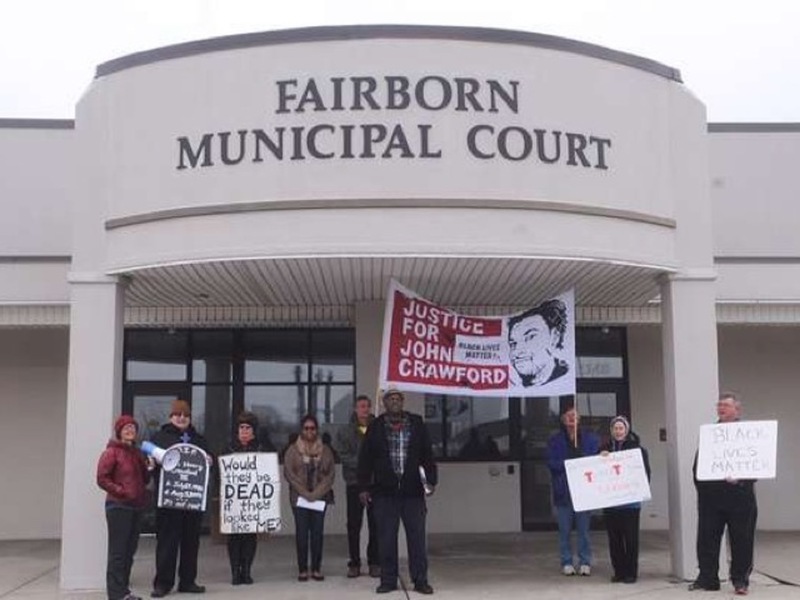 Ten people filed affidavits March 25 alleging Ritchie "created the incident that resulted in the death of not only John Crawford but another shopper by the name of Angela Williams," one complainant, Bomani Moyenda, told the Journal-News. Audio of the call synced to video from the store showed Ritchie's claims about Crawford pointing the gun were not true, Moyenda said. Fairborn Municipal Court Judge Beth Root found there was probable cause to prosecute Ritchie for making false reports, the Journal-News reported. Root also ruled that there was not probable cause to prosecute Ritchie for inciting violence, inducing panic, involuntary manslaughter or reckless homicide. Crawford, of Fairfield, Ohio, had picked the air rifle off a shelf inside the Beavercreek Wal-Mart store on Aug. 5, 2014. Officers who responded to the call said they shot him because he ignored commands to drop the rifle when he turned toward them "in an aggressive manner," according to one of the officer's statements. Crawford died from a shot to the chest, a coroner found. A Greene County grand jury considered charges of murder, reckless homicide and negligent homicide, but they found the officers were "justified in their actions," special prosecutor Mark Piepmeier said. Angela Williams was fleeing the store with her daughter after gunshots were fired. The 37-year-old Fairborn woman suffered a medical condition and died that night. The Journal-News, a media partner of WCPO, tried to reach Root for comment late Wednesday afternoon as to what may happen next in the case.